WASHINGTON — With Christmas just two months away, the U.S. Postal Service is offering holiday shipping tips to help customers ship the 15.5 billion cards, letters and packages expected to be delivered in time for Christmas. In addition to offering 2014 holiday stamps, Post Offices nationwide will offer festive Priority Mail boxes and other packing items to provide customers with added convenience, including bubble mailers, mailing cartons, bubble wrap and packaging tape. No time for a trip to the Post Office? No problem. By using Click-N-Ship on usps.com, on-the-go customers can ship their packages when it’s most convenient for them. As an added bonus, customers can receive savings off retail prices when they print their own labels with postage online. Enjoy convenience: Order free Priority Mail shipping supplies on usps.com and have them delivered to your door, free of charge. Be informed: Check usps.com to verify that your items can be shipped. Pack smart: Pick a strong and sturdy box, cushion contents with packing peanuts, newspaper or bubble wrap and tape it closed with strong packing tape. Save a trip: Visit usps.com to pay for postage and request free Package Pickup at your door. Track it: Sign up for text and email alerts through my.usps.com to track the delivery status of your packages. 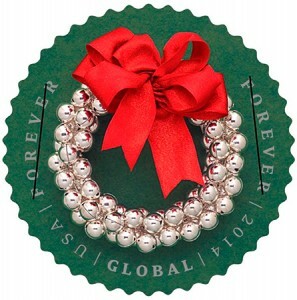 Gift options: Pick up a gift card from your local Post Office; they make great gifts for family and friends. The dates listed above are the earliest deadlines for international and military mail. *Priority Mail Express postage refund eligibility is adjusted for shipments mailed Dec. 22–25. For more shipping tips, visit usps.com.